Blacktown Hospital auxiliary secretary Vera Barnes has worked at the hospital for 44 years. In 1975, Medicare (or Medibank as it was known) was introduced, an average house in Sydney cost $25,000, a loaf of bread 24 cents and petrol cost roughly 57 cents per litre. During this time, an enthusiastic youthful mother of one started volunteering at Blacktown Hospital. Fast forward 44 years and Vera Barnes is still active and involved in raising money for the facility. The Blacktown resident and the hospital’s longest serving volunteer plays it day-by-day and has no plans to retire. 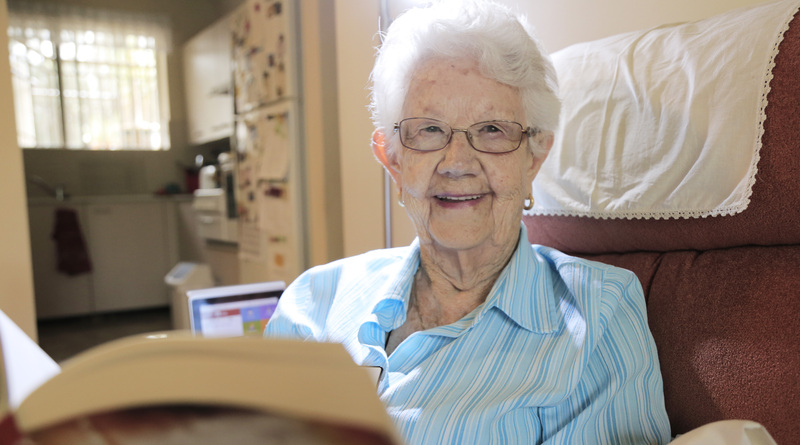 At 91 years of age she no longer drives to the hospital but maintains her volunteering role from the comfort of her home. Vera’s enduring career was influenced by her mother – who also volunteers for the auxiliary at Blacktown Hospital. When her mother became ill – Vera stepped into her shoes and continued her legacy. Blacktown Hospital Auxiliary secretary Vera Barnes has no plans to retire. The business-minded veteran is a life-long member of the United Hospitals Auxiliaries of NSW Inc. and was the first female President and foundation member for Probus (business persons social club). “I love doing something for the community and outreach for the church,” Versa said. Some of the items the auxiliary has purchased over the years include a camera used for forensic testing and an ice-cap machine which reduces the loss of hair from cancer treatments. “I enjoy raising money for the hospital to purchase equipment to benefit the patients,” Vera said. Blacktown Hospital auxiliary celebrates 60 years in September and has raised more than $750,000 for the hospital. The auxiliary holds regular stalls in the hospital four days a week selling knitted babies items, second hand books, homewares and bric-a-brac and more. For information on these stalls or to volunteer at Blacktown Hospital, email Janice.Low@health.nsw.gov.au or 0439 920 337.